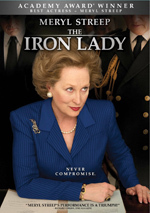 The Iron Lady is a surprising and intimate portrait of Margaret Thatcher (Two-time Oscar® winner Meryl Streep), the first and only female Prime Minister of The United Kingdom. One of the 20th century’s most famous and influential women, Thatcher came from nowhere to smash through barriers of gender and class to be heard in a male-dominated world. $220.409 thousand on 4 screens. Between 1983 and 2011, Meryl Streep earned 12 Oscar nominations. Between 1983 and 2011, Meryl Streep won no Oscars. That finally changed in early 2012, as Streep got her third overall Oscar – and first since 1982’s Sophie’s Choice - for The Iron Lady. I was pleased for Streep, as I think she missed out on deserved awards for efforts like The Devil Wears Prada, but I can’t say Lady itself did a lot for me. 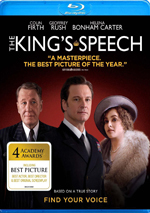 The film launches in the early 21st century and finds an elderly Margaret Thatcher (Streep). She lost her husband Denis (Jim Broadbent) at an earlier time and shows signs of dementia; because of that, she acts like Denis still lives with her, and she occasionally thinks she’s still Prime Minister of Britain. Though focused in Thatcher’s later years, the story offers ample flashbacks to illustrate aspects of her life. We visit her as a teen (Alexandra Roach) during World War II and follow her courtship with Denis (Harry Lloyd). After that, we trace her career in politics and her rise to power as Prime Minister in the late 1970s as well as aspects of her tenure. The common thought about Lady is that Streep offers a typically terrific performance but the movie itself disappoints. I’d love to offer a contrary viewpoint, but I can’t, as that summary feels pretty accurate to me. Streep isn’t always money in the bank; for instance, she was pretty awful in Mamma Mia!, though that wasn’t a surprise, since everything about that atrocity stunk. In any case, Streep usually provides good work and she occasionally elevates mediocre material. Which she almost manages to do here. Though she threatens to become buried under makeup and mannerisms, Streep still provides a pretty solid performance. She seems like a reasonable facsimile of a human being and not just a caricature. While I don’t think it’s Streep’s best work – or even close – I still feel she does a nice job. As for the rest of the film, it proves to be less successful. The biggest problem comes from the story structure, as the mix of semi-present day and flashbacks doesn’t do much to develop the tale or illuminate events. Frankly, the choice to focus so much on “later years” Thatcher goes nowhere. I’d be fine with the decision if it’d solely been a short narrative gimmick in which older Thatcher introduces her biography and then we devote ourselves to her past. However, we spend ample time with doddering Thatcher, and this choice doesn’t make much sense to me. The look at the elderly Thatcher never seems particularly insightful or interesting, and it borders on cruel at times. At the very least, it does little to embellish our understanding of the woman. Not that the rest of the movie offers an incisive take on Thatcher’s life and career. 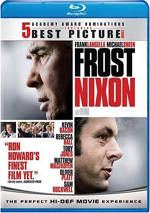 Outside of the “elderly Thatcher” bits, it tends toward a pretty standard biopic “greatest hits” orientation. That means we follow Thatcher in a fairly chronological manner and see the big events that defined her. And that’s fine as a structure, but the film never becomes especially illuminating or lively. We go from one big moment to the next but don’t find any depth or real meaning attached. There’s no psychological insight or the like; we just see Maggie move along and little more. At least director Phyllida Lloyd has shown some growth since Mamma Mia!, her filmmaking debut. She could barely figure out how to frame and edit a sequence correctly there, whereas Lady manages to resemble a real movie. Granted, I think she read the “Dutch angles” chapter of a directorial textbook a little too closely, but I still think the flick seems more professional than Lloyd’s predecessor. Too bad it’s not more interesting than it is. I’m sure there’s a strong tale to tell based on the life and times of Margaret Thatcher, but we don’t get it from Iron Lady. The movie reduces Thatcher’s experiences to a thin porridge without enough substance to sustain us. The Iron Lady appears in an aspect ratio of approximately 2.35:1; the image has been enhanced for 16X9 televisions. Though not stellar, the transfer was usually good. Many period pieces opt for subdued palettes, and that was definitely true here. The colors of Lady tended toward gray tones, with few no vivid hues on display. Still, these were fine given the stylistic choices. Blacks seemed dark and right, and shadows demonstrated good clarity. Though this wasn’t a great transfer, it was strong enough for a “B”. A movie about politics wouldn’t seem to be a candidate for a dynamic soundtrack, and the Dolby Digital 5.1 audio of Iron Lady fell into expected realms. This was a chatty flick, though it occasionally displayed lively elements. For instance, war or terrorist scenes provided good bombast. Those were rare, though, so good stereo music and general ambience ruled the day. These gave us a decent sense of place but rarely much more. Audio quality satisfied. Music was full and rich, while effects showed nice clarity and accuracy. Speech – obviously an important factor here – appeared concise and crisp. Nothing here soared, but it all seemed positive. Most of the DVD’s extras come via featurettes related to the film. We find Making The Iron Lady (12:20), Recreating the Young Margaret Thatcher (2:44), Denis: The Man Behind the Woman (2:34), Battle in the House of Commons (2:29) and Costume Design: Pearls and Power Suits (2:44). Across these, we hear from director Phyllida Lloyd, writer Abi Morgan, costume designer Colsolata Boyle, and actors Meryl Streep, Richard E. Grant, Anthony Head, Jim Broadbent, Harry Lloyd, Alexandra Roach, and Olivia Colman. The programs look at cast, characters and performances, camerawork and visual style, and costume design. Don’t expect a whole lot of substance across these featurettes. “Costume Design” is probably the best of the bunch, as it packs decent punch into its brief running time, and “Making” is fairly useful as well. The others are more superficial – and often repeat the more informative points from “Making”. They go by quickly enough to be worth a look, but we don’t find a ton of strong details in these pieces. History Goes to the Cinema runs 18 minutes, three seconds and looks at five films: Iron Lady, My Week with Marilyn, WE, Coriolanus and The Artist. We find notes from Streep, USC School of Cinematic Arts Professor of Critical Studies Drew Casper, USC Professor of Public Diplomacy Nicholas Cull, filmmakers Madonna and Ralph Fiennes, Huntington Library Director of Research Steve Hindle, author John Campbell, film critic Wade Major, and actors Judi Dench, Michelle Williams, Andrea Riseborough, Gerard Butler, Malcolm McDowell and James Cromwell. Going in to “History”, I expected nothing more than promotional fluff. And it delivers some of that, but it’s notably more informative than I anticipated. It includes decent notes about the various movies, so while its running time means it rushes through the films, it’s still pretty enjoyable. The disc opens with ads for The Artist, WE, My Week With Marilyn, Anonymous and In the Land of Blood and Honey. No trailer for Iron Lady appears. Though Meryl Streep earned a reasonably justified Best Actress Oscar for The Iron Lady, the movie itself is a moderate dud. While I don’t think it’s a bad film, it lacks much depth and tends to stagnate on the screen. The DVD comes with generally good picture and audio as well as some minor supplements. Give this one a look if you’re a Streep fan but don’t expect cinematic greatness.